When they are asleep, Potsworth the dog and his friends – Rosie, Nick, Carter and Keiko – become the Midnight Patrol and enter a dream world, but to stay there, the Grand Dozer must be asleep, and the Nightmare Prince is trying to wake him. 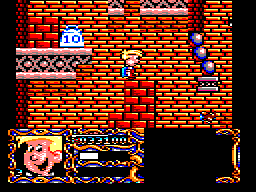 The gang must find objects on each of the five levels and stop the Nightmare Prince. You control one of the characters on each level, and each character has different powers. As well as collecting objects, you also have to activate lifts by pushing heavy objects on to the appropriate buttons. The graphics are cute and colourful, and the music on the menu is a joy to listen to. Unfortunately the levels are very big and take a long time to complete, which makes the game rather tedious to play. Nimiane, the treacherous lady of the lake, has captured Merlin the magician. You play his son Gareth, and you must cross plains and forests to reach your father and rescue him. However, Nimiane has sent various warriors and demons that you must fight. As well as using your fists or a sword, you also have five types of offensive spell at your disposal which are more powerful than using physical weapons. If you lose all your energy, it may also be possible to resurrect yourself, if you have sufficient magic remaining. 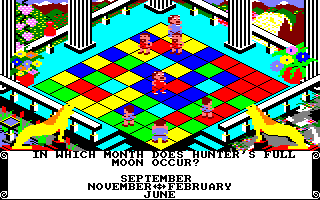 The graphics are very colourful and the sprites are huge – but the disadvantage is that the game moves quite slowly. It also doesn't help that the controls can be unresponsive and awkward, especially when you're trying to select a spell when there's a lot of action on the screen. 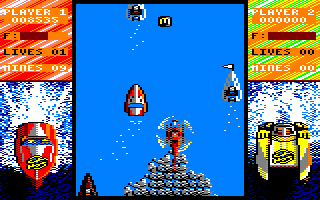 Race a catamaran or a speedboat along five levels of action, dodging other speedboats, watching out for mines, and trying not to crash into the scenery! Your boat uses a lot of fuel, so you'll need to collect extra fuel regularly. You can also collect mines which you can use to blow up other boats, although it's not necessary to do this at all in order to complete the course; it merely allows you to obtain a few extra points. The first course is very easy indeed and is a simple introduction to the game, but it becomes a bit harder from the second level onwards. There's also a 'night level' in which you can only see part of the course at any one time. The graphics are very good indeed, although there's no music. Overall, though, this is a great little game. 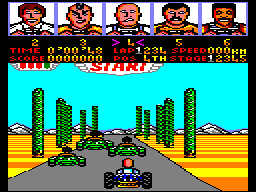 Choose from twelve wacky drivers, and rev through some stomach-churning circuits. Watch the dust fly and the wheels spin as you screech over a rollercoaster track and wave goodbye to your opponents. Roar over mounds of mud, drive through the desert, slip and slide on snow-covered tarmac and race your way through the night to face the final lap and take the chequered flag. Your choice of driver affects your sprite's look and a nice display shows your position by shifting the characters' portraits. It possesses nice, colourful sprites, pretty backgrounds, and some detailed scrolling landscapes and competent gameplay to boot; the tracks become exponentially trickier while you dodge your opponents. A better conversion than Sega's more famous Out Run. Watch YouTube videos of this game by: Axelino, ChinnyVision, Novabug, Xyphoe. Cash-in from the highly tongue-in-cheek Schwarzenegger action film. 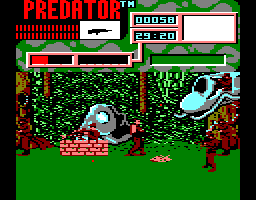 Guide our musclebound hero Arnie through the American tropical jungle, shooting the never-ending number of guerrillas, while avoiding getting killed by the Predator alien that has its sights firmly set upon you. Sadly the game isn't as half as amusing as the film itself and if anything is particularly tedious; as a rule of thumb, almost any Schwarzenegger film conversions (barring Terminator 2 perhaps) are well worth avoiding. The Predator is back, and this time he's come to Los Angeles, where there is a battle between rival drugs gangs. Out to get all of them is Lieutenant Mike Harrigan, which you control in this dull shoot-'em-up. As the screen scrolls horizontally (and very slowly), you must aim your crosshairs and shoot all of the gunmen before they fire on you and drain your energy. The gunmen leave behind ammunition which you will need to pick up, as you will use a huge amount of it during the game! You can also collect better guns and energy packs, but avoid shooting the Predator and any innocent bystanders. The slow scrolling is the main reason why the game is poor, but the graphics are messy, and the sound effects are both minimal and awful. The Zoglor tribe has run out of food, so armed with a wooden club, Prehistorik the caveman must travel through forests, mountains, jungles and even venture inside a volcano in his search for food. Along the way, there are many different monsters who can be beaten up and killed. You can also enter caves, where you may find more supplies for the tribe. If you don't obtain enough food at the end of each level, you must start the level all over again, so watch out! 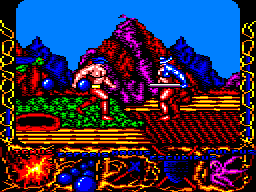 The first thing you notice about this game is the graphics – they are definitely some of the best that I have ever seen on the CPC. However, the music becomes annoying after a while, but thankfully it can be turned off. Unfortunately the game slows down a lot when there are monsters on the screen; if this didn't happen, I would rate the game a lot higher. 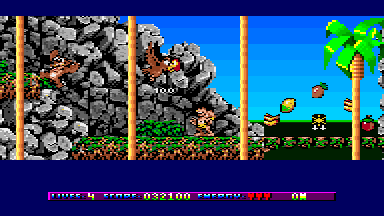 One of the last commercial games to be released for the CPC and also one of the best. 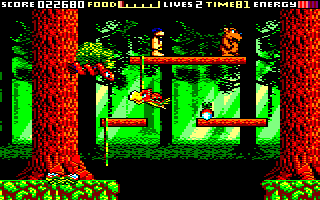 You control a caveman looking for food, and among the many monsters you'll face are bears, spiders, wasps, dinosaurs, and a huge ape halfway through the game. There are also lots of bonuses to collect. What makes this game stand out from other platform games is the graphics, which are truly awesome, especially on the Plus version, which features extra colours and parallax scrolling. The music is also terrific, and it's the only commercial game I know of that exploits the Plus' enhanced DMA sound facilities. 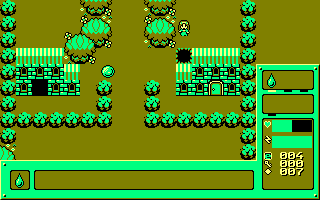 Thankfully, the gameplay on the normal CPC version doesn't suffer, and it's a hugely enjoyable game to play. Watch YouTube videos of this game by: Axelino, Xyphoe (Plus version).